As designers, our skill set comes with a lot of responsibility. We have the power to promote social change, we have the responsibility to represent our clients as they want to be, not just how we think they should be. Social justice is constantly affected by art and design. Design eliminates the need to speak a certain language to understand a message, and gives larger audiences, no matter their background, the opportunity to understand the message visually. 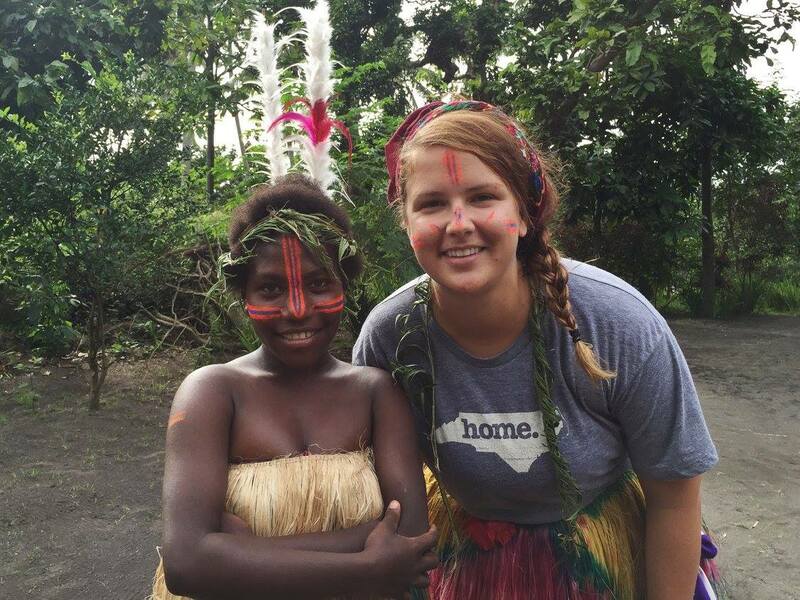 Almost 6 months ago, I left my job as an interactive designer at Centerline Digital, a local agency in downtown Raleigh, to pursue my second assignment in the Peace Corps as a Web Design and Development Consultant in Port Vila, Vanuatu. If you have never heard this small island nation, don’t worry because most people haven’t. Vanuatu is located below the equator, surrounded by the Pacific Ocean and the closest country is Fiji, another island nation. My first, two year Peace Corps assignment was in Albania, a small country in Eastern Europe, where I worked with the local government, creating a brand for my town, building online capacity and starting a youth basketball league. 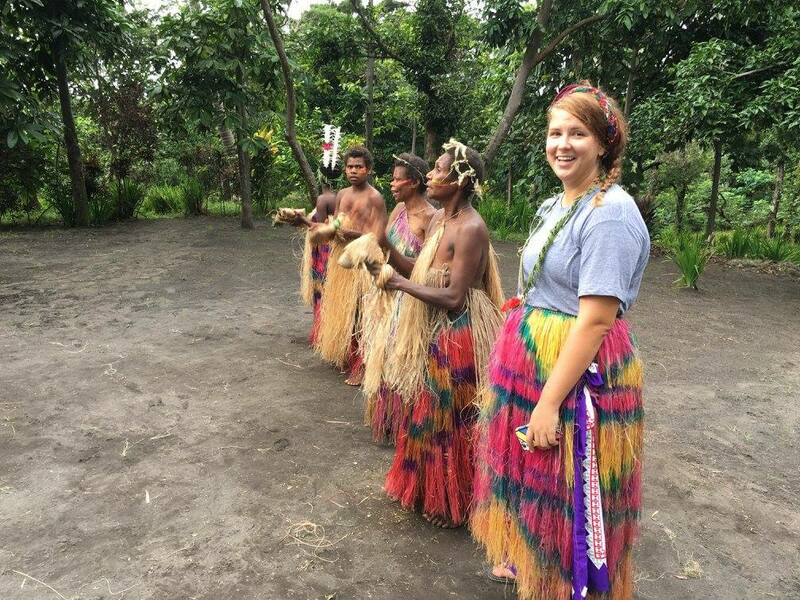 The Peace Corps Response Program is a more tailored experience than the traditional two year assignments, built for professionals with certain skill sets, ranging from nurses, to climate change specialists, to agricultural consultants, to web designers. All are assigned on a needs based request from the host country for short term, high impact assignments in Peace Corps countries. My main assignment was to work with the Ministry of Youth and Sports Development, creating an online presence for their organization, starting from the beginning with the web design process once arriving in country. By leveraging my skill set as a web designer, it gave me the opportunity to live and work in Vanuatu, as well as Albania, trying to make a positive impact internationally. Global citizenship is something that has always been important to me. It’s one thing to say you care about global issues and it’s another thing to try and take action and do something about them. Face to face communication seems to be evaporating from our lives, I mean who hasn’t sent someone an instant message across the room before? My friends and I like to do something called a ‘phone stack’ when we get together, forcing us to step back from our phones and talk to each other (whoever grabs their phone first buys the next round). As Americans, it’s easy to get wrapped up in our 9-to-5 jobs, domestic news and not really look up to what’s going on outside of what’s in front of our face or on our personal devices. Taking a position in the Peace Corps Response program allowed me take a step back, look up from my screen and use my skills as a web designer to work for people who really appreciated me coming to their country. 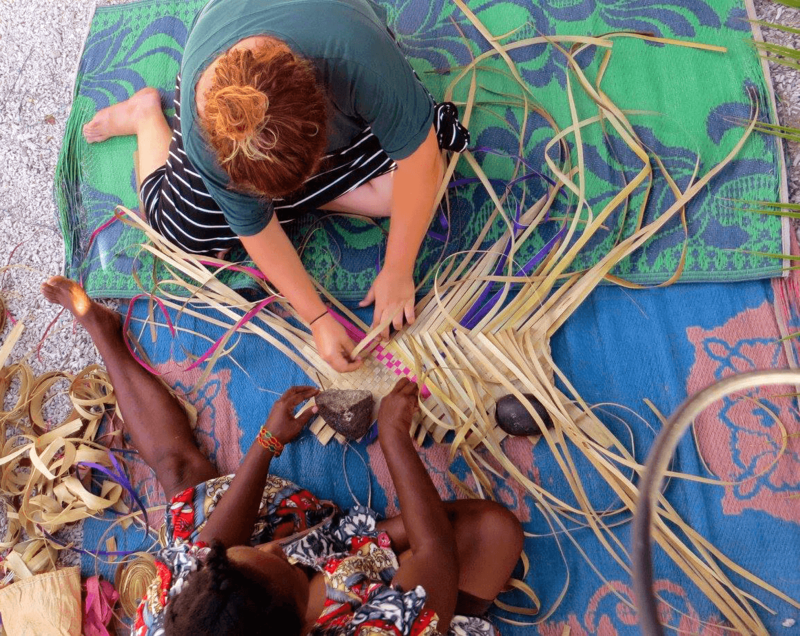 How did design thinking help me with my project in Vanuatu? Design thinking is a type of problem solving for projects brings a flexible, iterative approach to clients needs, with the end result being a user focused solution. I’ve now worked in an agency for over 2 years, where working on multiple projects at once, on tight deadlines, comes with the territory. Design thinking has caught on in the agency world due to its iterative feedback process, but shouldn’t be limited to just one industry, it’s also a great way to tackle the Information Communication Technology for Development (ICT4D) field. ICT4D involves leveraging information and communication technologies in international development issues. Solving problems while thinking iteratively and adapting to restraints, you inevitably reach the best solution, helping shed light to socioeconomic issues. In the case of my project in Vanuatu, I was being brought in to create a digital voice for the youth development work that the Ministry was working on throughout the six island provinces in Vanuatu. Working in an agency, everyday I work with specialists in their fields. UX strategists, programmers, frontend developers, writers, product owners, UX designers, motion graphic designers, 3D animators, and project managers all sit in one collaborative work space, constantly sharing ideas and developing strategies for upcoming projects. During my time in Vanuatu, I was considered the go to for all parts of the website development process and guided my coworkers through the web design process, working as the specialist in every aspect of the process. I worked as the project manager or product owner, creating a scope of work and requirements documents after meeting with the stakeholders of the website, managing expectations and deliverables. While I was coming in as the web specialist, I knew nothing about their organization and that was the first and most important thing to learn before starting on the site at all. I worked as an UX strategist, working with the department in the Ministry through card sorting, developing a site map together, sketching out wireframes and talking through user flows on our website. I worked directly with my counterpart who was eager to learn about the “behind the scenes work” that went in to the site. I worked not only as the designer of the site, but the developer as well. I taught myself a new content management system and dove head first into writing responsive CSS and HTML5 instead of just handing over my designs and CSS to the developers. With this part of the work, I pulled a lot of hours by myself, showing my coworkers periodic process and updates. But most importantly, I worked as a teacher, making sure knowledge was transferred to my coworkers in Vanuatu during the web design process, as well as on how to update the CMS after I left. I trained multiple colleagues on how to manage the website’s content and make minor design updates when needed. Sustainability is one of the most important aspects of development work. My third day of work in Vanuatu, we had a finalized site map and requirements document near finalized in two days, for not one website, but for three. The stakeholders were all eager to give their input in an activity that could loosely be described as card sorting. While my technical skills helped frame the process of the website, what was even more important was the content that we were going to be providing the user. Most people accessing these sites will be doing so through their smartphones, on remote islands with limited access to drinking water and sustainable shelter. What would someone accessing the website from a 3G network on their smartphone want to find out? This is the point in which I realized how our backgrounds were going to in fact produce a stronger product than if an entire team of outside consultants were hired. This is one of the biggest benefits that the Peace Corps helps facilitate, helping the people of interested countries in meeting their need for trained men and women, allowing for cross cultural coexistence in the workplace. Aside from my primary assignment in Vanuatu, I was also given the opportunity to be involved with the SMART Sista’s ICT Camp for Girls, another Peace Corps Volunteer’s project. Talk about being in the right place at the right time. I was asked to teach a session during the web design and development day of the camp, accompanying a local developer’s sessions on HTML5 and CSS3 by teaching interaction design, UX design and UI design. With the target audience of this presentation being girls from 9–14 years old. After the website was launched for the Ministry, I was asked to give a professional development course to almost fifty government employees on the web design process and maintenance. While a lot of my coworkers had internet access at work, most did not have a personal computer or internet at home so professional development courses like the one I provided are essential in growth and understanding. While working at an agency, there’s a constant loop of feedback, internally and from clients. During my time in Vanuatu, this was the opposite. While it was part of my project plan to include my coworkers throughout the process and give them ownership of their website, I was fully relied on to make all design and development decisions. Knowledge of responsive and mobile design is limited outside of the web design world. In Vanuatu most people have smartphones as their primary way to access the Internet. From day one I knew that this website had to have a strong mobile design because most users would be accessing the site from their personal devices. Understanding responsive development is one thing and actually being able to write responsive code is another thing. I was able to design in the browser and got to see what was functioning and what wasn’t immediately, growing as a front-end developer and designer. I learned during my time in Albania that just like social culture, professional culture is unique in every country. As Americans, there’s this idea that for the most part your personal life should stay separate to your professional life. We’re also known for, and this is no surprise, working crazy hours and our fast paced lifestyle. In Albania, you become friends first, going to coffee or sharing a meal together, and then only would professional partnerships advance, blurring the lines of their professional and personal lives. Vanuatu was similar in this regard, and having that frame of reference from my previous international work experience, it was easier to know what to expect. As an outsider with no family ties whatsoever it can sometimes be difficult to find your place in the office. 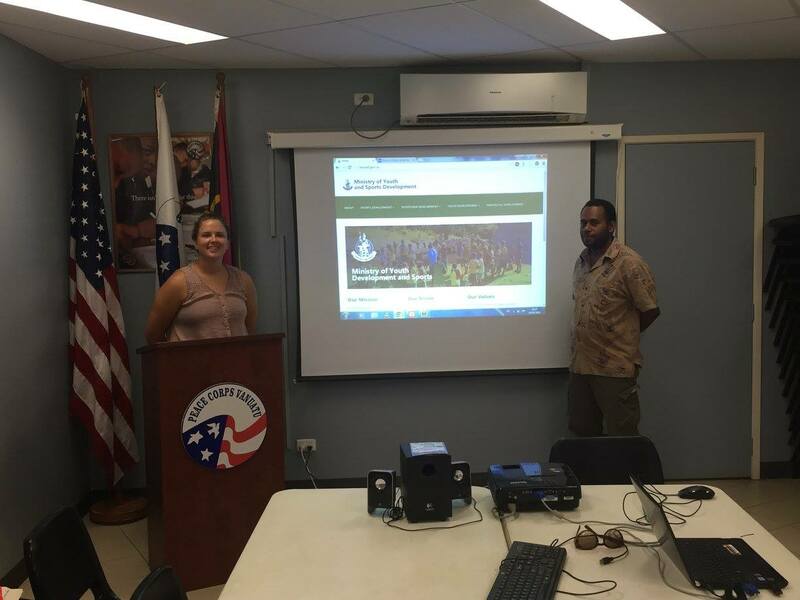 During my time as a web design and development consultant in Vanuatu in the Peace Corps Response program, I grew as a designer. Not only because I got to work as a designer, but because I got to work in other roles other than the design role that I’m so used to. This helped me understand and empathize with those positions now that I’ve returned to that fast paced American lifestyle. Back to that responsibility and power you’re given as a designer, I would highly recommend exposing yourself to other cultures and people different than yourself or your friends. If you don’t like to travel, go to your local art museum. If you can’t speak another language, download a language app. Exposure to other cultures enables you as a designer to be able to visually communicate to a broader audience, making your impact even bigger and more powerful.